Wondering what to pack for a ski trip this winter? I’ve created this handy ski trip packing list to help you out! I’ve included a printable ski packing list that you can print at home to help you organise yourself or your entire family. After spending two winters in a row at one of the best ski resorts in North America, I think I have a good idea on what to bring on a ski trip. I had no idea what to bring skiing when we were headed to Park City at the start of 2015. We had no winter gear so had to start from scratch. If you’ve never skied before or even visited a cold winter destination, it’s hard to know what you need to bring. 2.2 Ski Gear – If you’re renting ski gear on the mountain, skip this section. 4 Here are a few pictures to show you what life at a ski resort is like! Instead of packing each person’s belongings in a separate bag, I find it much easier to pack like items together. Pack everyone’s ski clothes in one bag, pack off-mountain clothes in another, pack swim gear for the hot tub in a packing cube. If your kids are under 10, chances are Mom and Dad will be helping them get geared up each day. Use packing cubes to organise your off mountain clothes. If you’re travelling as a family, use one packing cube for each family member. Buying different colours will help you know who’s is who’s. You can keep everyone’s swim suits for the hot tub in a separate one too. If you’re not already a packing cubes convert, check them out here! Ski gear is bulky which makes it a little harder to pack and impossible to fold or roll neatly. Your clothes for the mountain will pack better into a duffel bag. Pack your boots in the middle and stuff smaller items, like ski gloves, around them. This duffel bag is a great size and is super cheap! If you’re not used to the cold or haven’t skied before, you won’t know about all the little things that are essential during cold weather. Be prepared and come with warm clothes, waterproof boots and don’t forget your bathing suit. Seriously! We use our hot tub at our ski condo in Park City all the time during the winter. I’ve broken my ski packing list down into two columns depending on if you’re travelling for a weekend or a whole week. Anything longer than a week and you can just wear and wash the same things over again. In North America, most ski resorts and ski condos will have drying racks and washer dryers in the unit. Most will supply laundry detergent but you might want to throw some Tide Pods in a ziploc bag just in case they don’t. Here’s what you’ll need when you’re packing for a ski trip. Download the printable checklist version with quantities below! Ski pants and jacket – My favourite brand is Obermeyer as they make plus size ski gear. Check out their pants here! Skiing or snowboarding socks – These SmartWool ski socks are the best! Ski goggles – Read my post on the best ski goggles for kids here. Ski Gear – If you’re renting ski gear on the mountain, skip this section. Extra jacket or coat – Packable down jackets are awesome for travel! You can read my full post on packable down jackets here. Fleece tops or jumpers – Merino jumpers are great for lightweight layers that provide warmth. Jeans, pants or leggings – Fleece leggings are a life saver on cold days! Fleece blanket – Very useful for the car or when you’re carrying baby around in a capsule, front pack or stroller. Mittens – Ski mittens for kids are great for babies if they’re old enough to play in the snow. Shampoo & conditioner – Use GoToobs to help you pack lighter. Heat packs – These are AWESOME for gloves and boots on cold days! Granola bars– Buy a big box and dish them out each morning to all your skiiers! Small water bottle – Squeezable, collapsible ones like this are great! 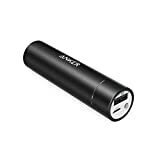 Portable phone charger– Useful if you’re out all day and using your phone to listen to music. Go Pro or small camera and selfie stick for ski selfies! Download this handy printable ski trip checklist for a family ski trip to help make travelling easier this winter. Or pin it for printing out later! Download the spreadsheet: Click here to download a simple spreadsheet version of my ski trip checklist via Google Docs. Download the printable: Click here to download the packing checklist as a PDF. Or just click the checklist below and print! Here are a few pictures to show you what life at a ski resort is like! If you have any questions about what to pack for your ski trip, please drop me a comment below and I’d be happy to help. You can also get in touch with me via my Facebook page. What a great list. We just got back from a ski trip and I think it’s one of the hardest family vacations to pack for. Your list would make it SO much easier. Awesome resource! Wonderul organization! Thank you so much!